This year we are thinking of calling it “non-stop” season!! 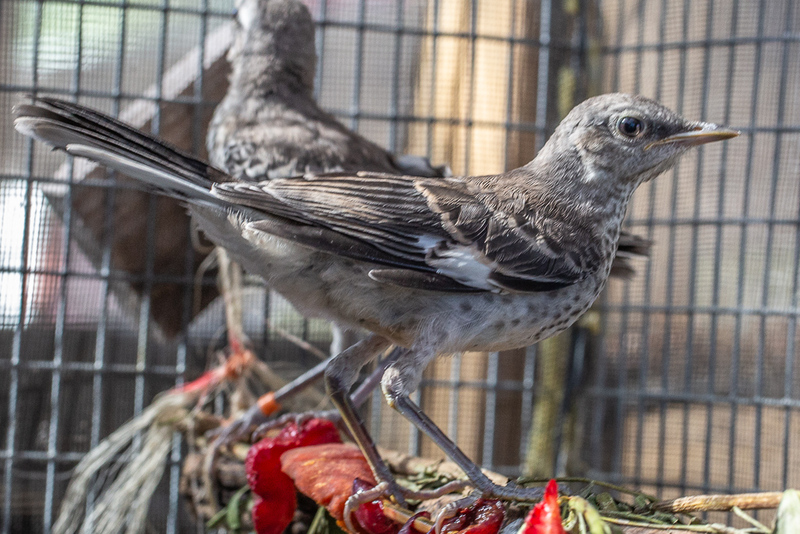 Last month we released 4 Opossums, 1 Raccoon, 5 Eastern Fox Squirrels and numerous birds including Towhees, Red Shouldered Hawks, House Finches, California Scrub Jays, an Acorn Woodpecker, a Bewick’s Wren, a Western Screech Owl, and a Northern Mockingbird. 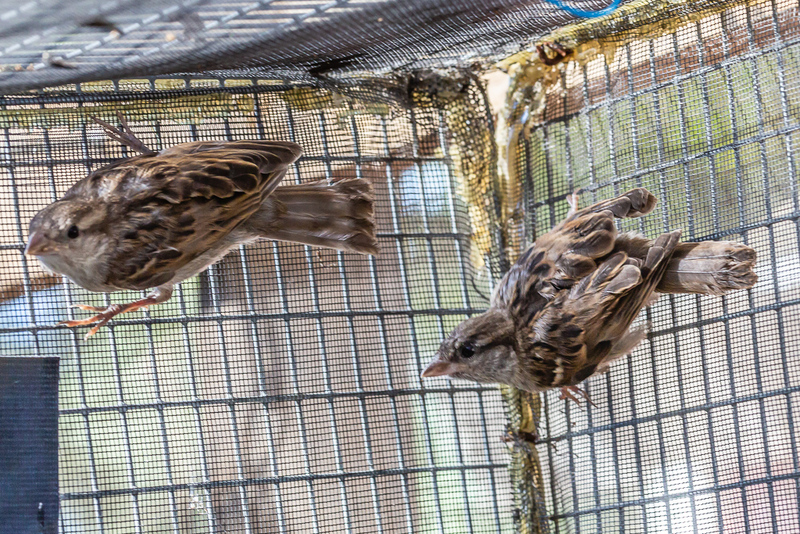 We are releasing birds as fast as they are ready because there are other young birds behind them, ready for the aviaries and then wild life. We are still receiving multiple orphans of various bird and mammal species daily, many requiring multiple hand feedings per day. With all these hand feedings, many hands make light work. We need committed, dedicated reinforcements, people who will be there to be the parents these babies lost. 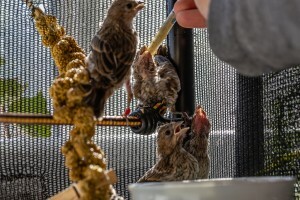 If you’ve ever been interested in working with wildlife, send a email to wildlifeadmin@napawildliferescue.org. It takes a lot of hands and a lot of heart, but pays it all back with interest. 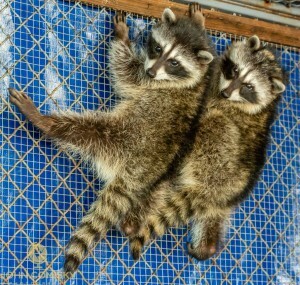 We have 13 raccoons with us now. It may be a record. 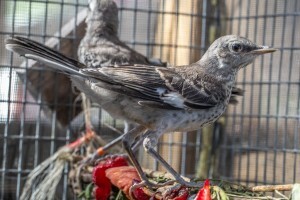 They are in various stages of growing and learning, and grouped by their level of development, in multiple enclosures at the clinic. They are all progressing well. These two are the oldest. 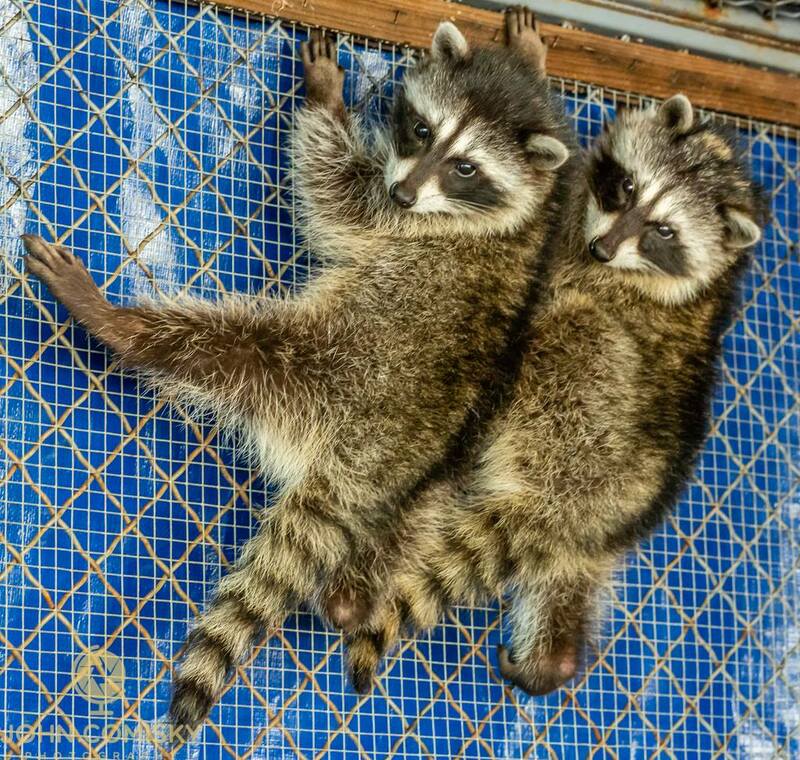 Raccoons are native to North America and found throughout it. They are omnivores that will eat fruit, snakes, nuts/seeds, fish, eggs, insects, birds, etc. and bring great dexterity, intelligence, adaptability, climbing ability and social structure to find the next meal. They communicate with each other with up to 200 sounds and multiple calls. 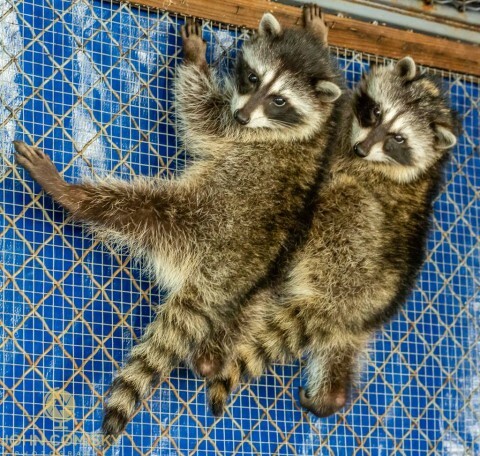 Sometimes they can be a nuisance when their business conflicts with humans, but they are a successful member of how it all fits together, and particularly when they are young, gift us with moments of extreme cuteness. This is a photo of a mother opossum that was hit by a car, resulting in severe eye damage. 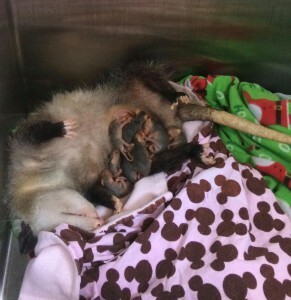 Luckily the finder knew that injured or even dead opossum mothers can have live babies in the pouch. If you are up to it, and can safely check, it is always a good idea to see if a recently struck mother does have live joeys, which can be often raised, even if the parent it lost. 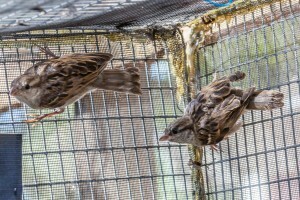 Take the carcass with babies aboard to the Silverado Vet Clinic on Trancas and we’ll take it from there. Fortunately, in this case we are caring for the mother and she is feeding the babies. This is a rare shot where she rolled over and the Joeys in the pouch are visible.